If your work revolves around marketing, corporate communications, public relations or social media, one of the most challenging tasks you probably encounter is creating an effective content strategy. While having to constantly think of new things to write about, you also have to ensure product visibility without bombarding your customer’s senses with promotional content. Whether it’s writing an interesting blog, scheduling social media updates, discussing story ideas with journalists, or figuring out what to put in emails, writer’s block decides to hinder your thought process when you need it most. Let’s not forget the horror of allocating the right amount to spend towards creating and promoting your content. A simple revenue based model can help provide instant visual clarity, and I have found it to be a good first step. While the example is of a hotel/resort, this can be applied to any industry. While developing a “persona” of your target audience is a great way to start speaking to them, this may not be the most effective way to begin if your business has multiple verticals of revenue. 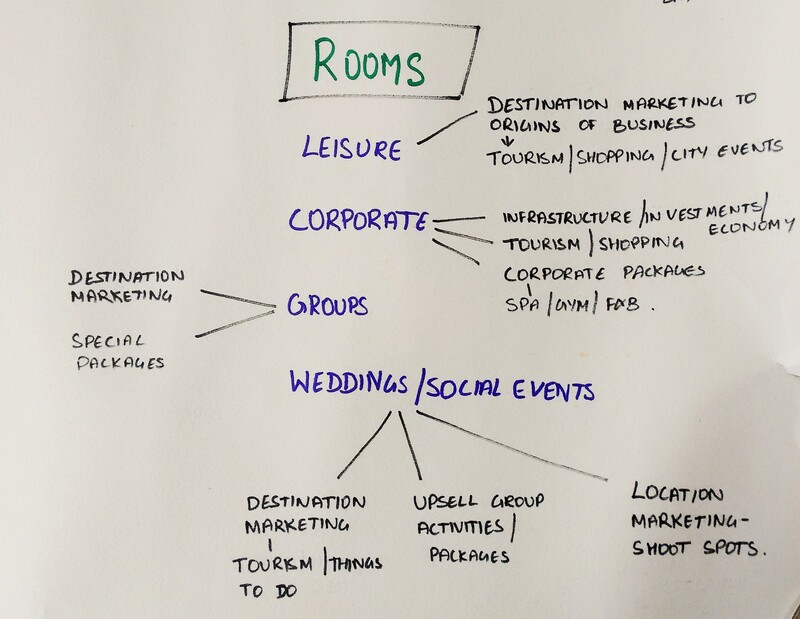 In a hotel for example, the major sources of revenue are rooms, food & beverage, banquets and spa/gym/pool/sports facilities. If you are a retail store for women, your major sources can perhaps be segregated into western outfits, ethnic outfits, shoes and accessories. 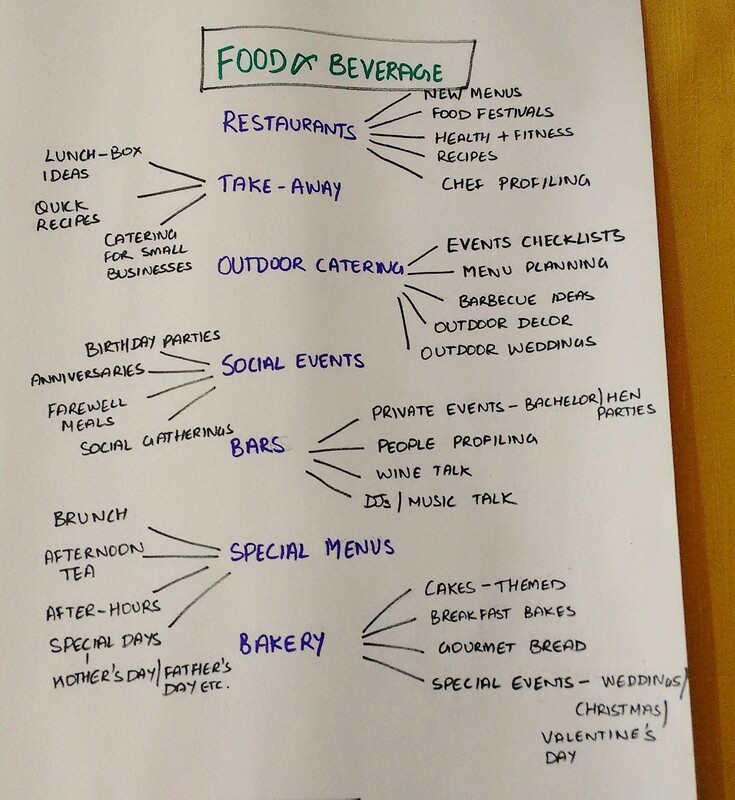 If food & beverage is one of your major revenue sources, what contributes towards it? 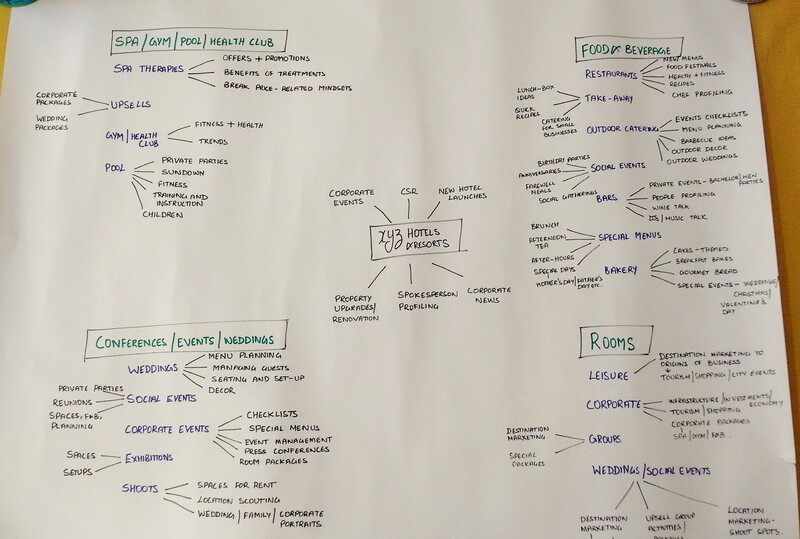 This could include restaurants, bars, bakery, outdoor catering, in-room dining, take-away and social events. The audiences for your different streams of business can be like chalk and cheese, not interested in the same things at all. For example, the customers that would patronise your bakery could be brides looking for that once-in-a-lifetime wedding cake, people looking to buy unique bread from you, or simply purchase goodies for an occasion – Christmas or Valentine’s Day perhaps. This person is most likely not interested in your corporate spa packages. Perhaps you generate considerable revenue from leisure travellers who come to your city to shop or to attend a major city event. Your persona here would want to know everything they can about where to shop, what to do as a tourist, other city events etc. They are likely to buy your spa packages/touristy arrangements as well. Now that you know how much revenue is being generated from where, and by whom, think about how they find out about you. 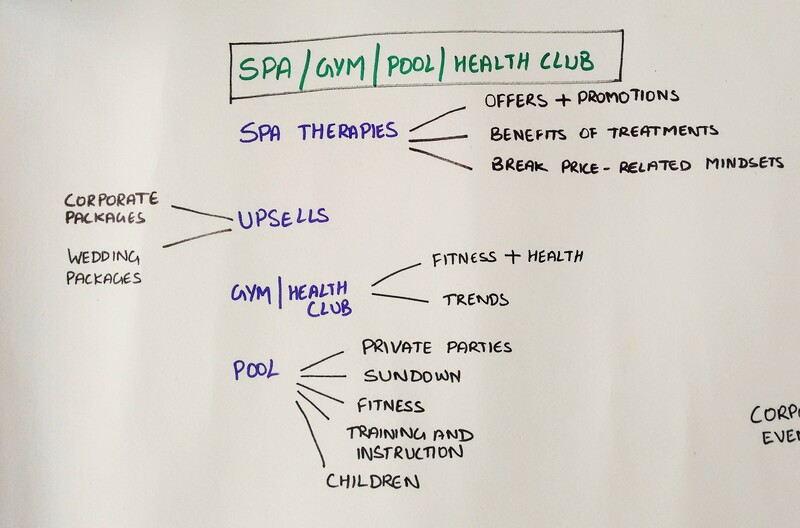 For example, if your hotel makes money from swimming pool memberships from children, you need to create content for their parents who would presumably be the decision makers. How do these parents learn about your pool offers? Do they find and book you online? Do kids bring their friends? Or are these parents ones that come to your restaurants regularly? Knowing where they come from will help you place the right content in the right channel. Let the revenue/potential generated from that stream be your impetus for budget allocation towards content creation and promotion. Step 5 – But What To Write? Think about what that particular customer would want to know through you. If you’re trying to engage a corporate traveller who stays with you frequently, what do you even say to her? She’s already convinced by your brand. Is it really the best idea to flood her digital profiles with content describing the softness of your beds, the largeness of your buffet spreads, or the attractiveness of your rates? Perhaps she would like to read about interesting updates on the economy/society/infrastructure of the city. Take a ride on the newly constructed Metro and write about why the city just got so much cooler. Remember that your corporate client doesn’t care about your Lego themed cakes, your outdoor wedding decor options, or your all new super special afternoon tea. The last thing to do is find the perfect image that complements your content. Back up everything you’re saying with fantastic, to the point images. They don’t have to be flawless, photoshopped pictures, they just have to tie in well with the point you’re trying to make. We have all seen those dreadful ads where the picture is as connected to the content as cats are to gratitude. 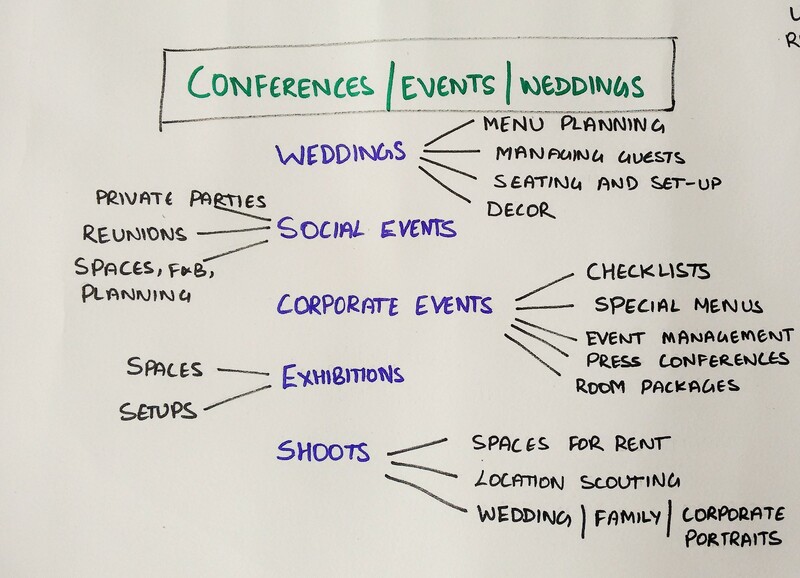 So try not to use a picture of a tree when writing content to promote weddings. But I’m the one to speak, with my awesome school-project quality diagram on chart paper with 20 rupee sketch pens! Remember, drawing pretty charts will make you happy!